The ThermoTorch 10 is a rugged, 3-in-1 tool featuring a true tactical 3 mode flashlight, a hand warmer and a portable power bank for your personal electronics. Whether you’re stargazing under clear desert skies or perched in a forested hunting blind on a gray and rain soaked afternoon, the ThermoTorch 5 will provide, heat, light and power to keep you going. 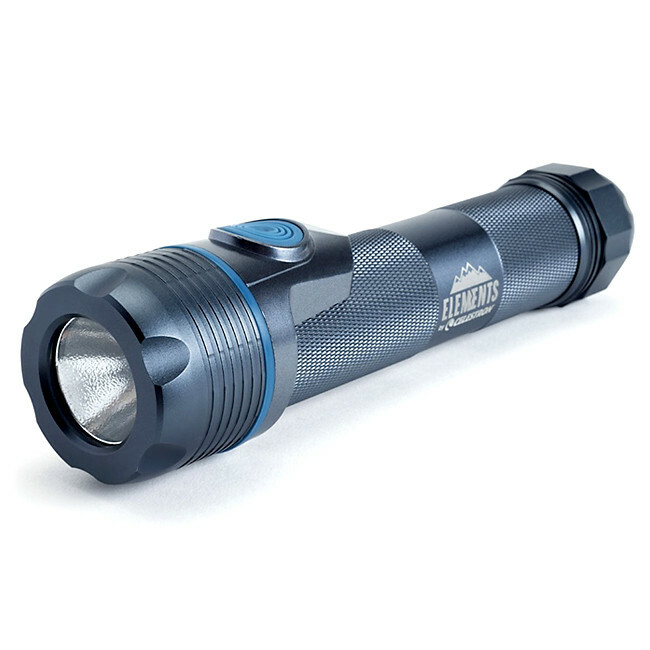 The tactical flashlight is rated at 300 lumen max and uses a CREE® 5W LED bulb. The hand warmer is good for a full day of heat- up to 10 hours, at temperatures up to 114°F. 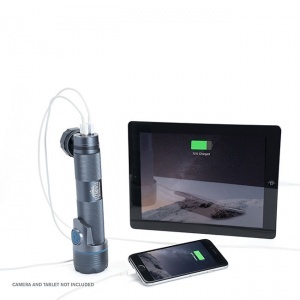 The 10000 mAh rechargeable lithium ion battery can charge smartphones up to 4 times, sport cameras and MP3 players multiple times and will completely charge most tablets. 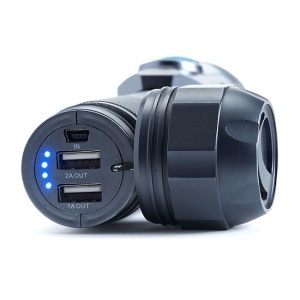 Dual out ports allow for charging 2 devices at once. The Celestron Elements ThermoTorch 10 is an indispensable addition to your adventure pack- never go into the wilderness without it. Supplied with a 2 year warranty.